Pharmacogenomics. Try saying that fast three times in a row. That’s probably why all of us here at the Center for Individualized Medicine, or CIM as we commonly refer to it, probably just call it PGx. Occasionally on the CIM blog, we like to take a step back from our updates on genomic biomarkers in pancreatic cancer and research studies to identify vascular risk factors in aging, dementia and Alzheimer’s disease to offer a primer on some of the basic concepts, programs and practices used at CIM and in the practice of genomic medicine. Whether you’re a patient, clinician or health care provider just getting interested in genomic medicine, these blogs are to help you understand the importance of precision medicine, also known as individualized medicine and personalized medicine. Past blogs have explained whole genome sequencing and the microbiome. 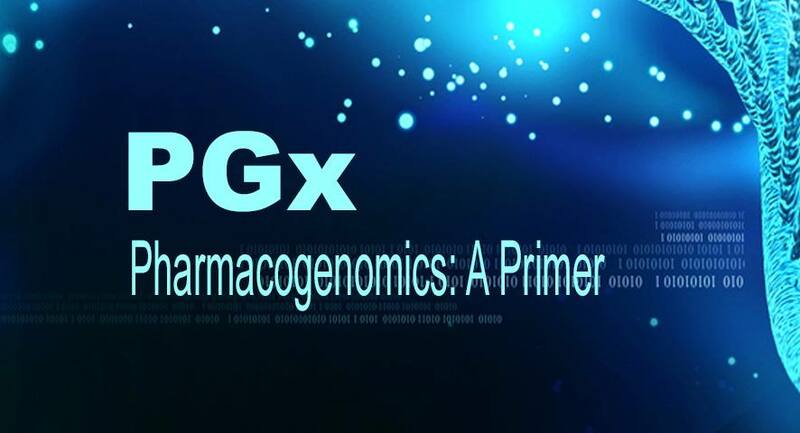 Today, we offer a primer on pharmacogenomics and how it’s one of the most important — and immediately applicable — genomic developments in medicine. 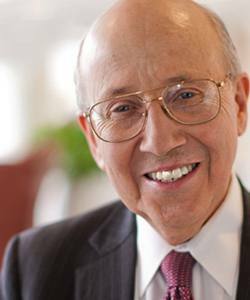 Richard Weinshilboum, M.D., is director of CIM’s Pharmacogenomics Program, one of the signature programs in our continuous drive to bring genomic medicine into mainstream health care. And it’s okay to say PGx. Your body has thousands of genes that you inherited from your parents. Genes determine which characteristics you have, such as eye color and blood type. Some genes are responsible for how your body processes medications. Pharmacogenomic tests look for changes or variants in these genes that may determine whether a medication could be an effective treatment for you or whether you could have side effects to a specific medication. Many drugs that are currently available are “one size fits all.” You, your neighbor, a man in Atlanta and a woman in Seattle may all be prescribed the same medicine for the same condition — think diabetes or high cholesterol or depression. The prescription might vary only by age, weight and gender. But the medicines don’t always work the same way for everyone. It can be difficult to predict who will benefit from a medication, who will not respond at all, and who will experience negative side effects. It is estimated that only 50 percent of patients respond positively to their medications. A new study out of the University of California, San Francisco says 30 and 40 percent of the drugs people take do nothing for them. And then there are those negative side effects. If you receive the wrong dose or the wrong medication, your results could range from not getting better to feeling worse to even dying. According to the U.S. Food and Drug Administration, more than 700,000 people each year experience serious drug reactions, and more than 117,000 die from them. Why, you might ask, do patients respond so differently to the same medication? Part of the answer is that people metabolize drugs differently. Estimates reveal that between 20 and 25 percent of drugs are metabolized, at least in part, by the cytochrome P450 (CYP) isoenzyme 2D6 (CYP2D6). Patients with multiple copies of the CYP2D6 gene may therefore be rapid metabolizers of some drugs and may not receive the desired benefits at the usual drug dose. Conversely, some people have few functional CYP2D6 genes. They may be slow metabolizers, causing drug levels to exceed the therapeutic range. Take the case of Andrew Karnes, as an example. 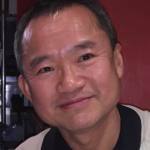 Applied pharmacogenomics relieved Andrew’s 16-year struggles with anxiety and depression. Mayo Clinic did genetic testing on Andrew and found out, in fact, that he was not able to break down medications the way most individuals would. Because of this, the medication levels were likely higher in his system, causing him to have more side effects and, in fact, making him ill. His diagnostic odyssey ended at Mayo Clinic with a genetic test that allowed him to receive the right drug, at the right dose, at the right time. That’s like a mantra at the Pharmacogenomics Program here at CIM: the right drug, at the right dose, at the right time. Too often, a medicine can be prescribed at a dosage that is subtherapeutic, or one that is therapeutic but not toxic, or one that is therapeutic and toxic, or one that is flat-out toxic. So getting the dose right is an important part of being precise with a patient’s medicine. Pharmacogenomics can help eliminate this trial and error approach to prescribing medications for therapy. Simply put, this means using genomics to get the right dose of the right drug to the right patient at the right time. There’s that mantra again. Using genetic tests, physicians can better separate individuals who may be harmed by certain drugs from those who may benefit from them. The Pharmacogenomics Program at CIM investigates how variations in genes affect responses to medications, thereby using a patient's genetic profile to predict a drug's efficacy, guide dosage and improve patient safety. We’ve even made a short animated video, “Right Drug, Right Patient, Right Dose,” to help you understand. We’ll be exploring more about pharmacogenomics in the future — topics like Drug-Gene Alerts, PGx Patient Profile, and how it’s being used in cancer treatment. But for right now, all you have to remember is the right drug, the right dose, at the right time. 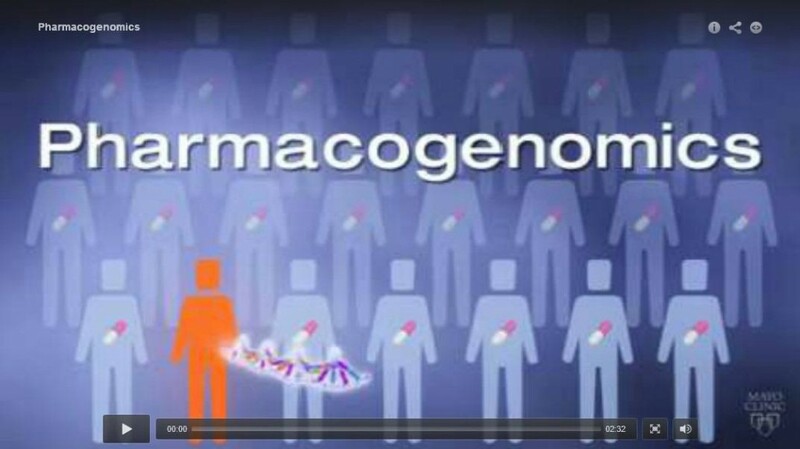 For patients looking for more information, visit Patient Information: Pharmacogenomics – Finding the Right Medication for You. How does the Mayo Clinic CIM infosystem interface and interact with The Cancer Genome Atlas (TCGA) Network KnowledgeBase & other autonomous PGx KBs for the optimal deployment of big data analytics?